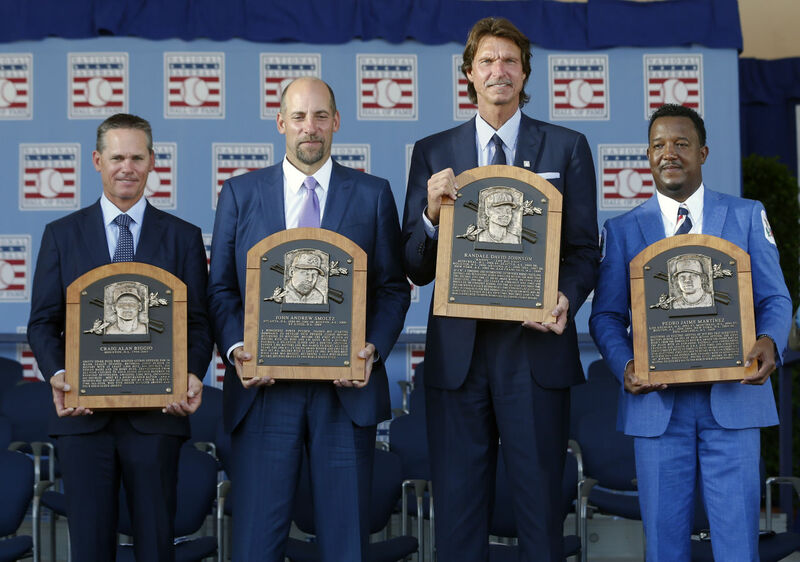 On Wednesday, the National Baseball Hall of Fame got a little bit bigger as the BBWAA (Baseball Writers’ Association of America) voted in four new inductees: Trevor Hoffman, Chipper Jones, Jim Thome and Vladimir Guerrero. Add in Alan Trammell and Jack Morris and you have six induction speeches on a sunny July afternoon in Cooperstown. Meanwhile, my brethren in the IBWAA did some house cleaning as well, as we inducted six players (Chipper Jones, Jim Thome, Mike Mussina, Roger Clemens, Barry Bonds and Trevor Hoffman) into our digital Hall of Fame. In my eyes, all the players mentioned above were worthy of this honor. It is also showing a shift in the thinking of baseball writer’s across the baseball landscape. First, it was very obvious going into Wednesday that Chipper, Vlad and Thome were locks. All three were over 90% for the polling (which was sitting at around 55% of the ballots made public) that morning. Hoffman was a bit dicier, as he was sitting around 78.2% of public ballots. It appeared on the surface that he would get in, since he fell just five votes short in 2017. Meanwhile, Edgar Martinez came up just a bit short, despite the fact he had been polling in the 80% range for the last couple weeks. The good news is that Edgar jumped up to 70.4%, less than 5% to the promised land as he enters his final year on the ballot in 2019. Also making ground this year on the ballot was Mike Mussina and Larry Walker. Mussina bumped up to 63.5% and Walker 34.1%. Mussina feels like a lock for induction sometime in the next couple of years, while Walker has only two more years of eligibility left. Clemens, Bonds and Curt Schilling all appeared to stay put around where they have been, so next year could be a big one for all three of them. I was glad to see Scott Rolen and Andruw Jones get enough support to stay on the ballot, and their climb could get a bit easier over the next couple of years, since there are less Hall-worthy candidates on the horizon. The one disappointment was Johan Santana, who is a borderline candidate for the hall. If you are like me and believe strongly in WAR7 (which is the seven-year peak or that players best seven years) and notice the similarities with Sandy Koufax, then you are probably leaning toward him being in. If you believe in a long career and lots of innings for a pitcher, then you are probably against him. The one thing that most of us can agree on is he probably deserved to at least stay on the ballot and let his case be judged for a few more years. Unfortunately, he is now bumped off and like Lou Whitaker, Jim Edmonds and Kenny Lofton before him, he won’t get a fair shake of letting his case be heard. Overall I felt like the BBWAA did an admirable job and it does appear as if the ballot logjam is starting to sort itself out. That should be a good thing for fringe candidates and those players like Mussina and Martinez who need a little extra nudge to get them over the finish line. Six players are entering our “Digital Hall of Fame” and I’ll be the first to admit I was a bit shocked that we elected Clemens and Bonds, just because they have been floating around on our ballot as well. This is just me throwing out a theory, but our members tend to skew a bit younger and it has felt over the last couple of years like the younger writers have less of an issue with the “Steroid Era” than the older ones. I’m sure there are different reasons for that, whether it is the lack of testing during that period making it harder to really know who did what, or feeling like the rest of baseball was able to get off scot-free while inducting then-Commissioner Bud Selig just last year. Whatever the case may be, Bonds and Clemens were joined by Chipper, Thome, Mussina and Hoffman as part of the IBWAA Class of 2018. With six players off the ballot, that should make it easier for us to focus on some other deserving candidates next year. Schilling and Walker both took big jumps and Scott Rolen posted a nice 44.7% of the vote in his first year on the ballot. Even Santana stuck around for round two, as he got 36 votes and sits at 21.1% in his first year. With next year’s class of Mariano Rivera, Roy Halladay and Todd Helton being the main first year candidates, it should be easy for us to keep honoring players who deserve this highest honor. We also get 15 votes instead of the BBWAA’s 10, which also helps us keep players on the ballot longer. All in all, I feel like we as a group did a great job this year and I look forward to the results in 2019. In 2013, the BBWAA voted no player over the 75% threshold, which meant a very quiet summer in Cooperstown. Luckily, the last few years have made up for that error, as the writers have voted in 16 players over the last five years. Whether you prefer a bigger Hall of Fame or a smaller one, the truth is that we have seen a lot of worthy entries over these last few years. For every Tim Raines or Edgar Martinez that have to struggle and have people preaching their cause, there are the Chipper Jones’ and Jim Thome’s that have the numbers and look the part. Baseball is better when a light can be shone on the players of year’s past that helped make this the great game that it is. For all its flaws, baseball at its pinnacle is the grandest game of them all. To get to honor those that encompass that greatness…well, that just makes this process a whole lot sweeter. There is no greater honor in any sport than getting a plaque in the baseball Hall of Fame. I’m sure someone who believes the NFL or NBA is a greater honor will debate me on this, but there is never the sort of debate toward their hall’s as there is in baseball. That debate has grown into a fervor amongst baseball fans, writers and even players, as every one seems to have an opinion on this topic. What has made it even more intense is what we should do with players who were “suspected” of enhancement thanks to steroids and other performance enhancement drugs, and whether or not they deserve a spot in the hallowed halls of Cooperstown or left on the outside looking in. In some ways, the people who vote on this honor are the judge, jury and executioner, as testing was not done during this period so for many of the players of that era there is no definite of what they did or did not do. Even Hall of Famer Joe Morgan has spoken out on the topic recently, which stirred the pot even more. As a member of the IBWAA, this will be my fourth year of voting for ‘the Hall’ and as I have said in years past, I have no issue voting for anyone suspected for PED use, since I feel those players played within the parameters of the rules allowed at that time. I’ve long considered the Hall of Fame a museum of the game, not a church, and because of this I vote based on performance alone. Now, there are a few differences between us in the IBWAA & our brethren in the BBWAA, one of which is the players we have already inducted. Last year we inducted Vladimir Guerrero and Ivan Rodriguez, and in years past we had already voted in Edgar Martinez, so he will not show up on our ballot this year. Also, we are allowed to vote for up to 15 players, where the BBWAA can only vote for 10. Before we get to my actual votes, you can read my previous votes: Here is 2014, 2015, 2016, and 2017. Also, follow Ryan Thibodaux on Twitter. That way you can follow how the voting is going before the big announcement on January 24th. Without further ado, here are my votes for the 2018 Hall of Fame ballot. I have voted for Bonds every year and will continue to until he is finally elected. In my eyes, this is a no-brainer, as Bonds is one of the greatest baseball players ever, not just of his era. I could rattle off all the numbers that show how great he was, but I think the best way to explain it is this way: before there was any whispers about suspected steroid use, Bonds was a 5 tool player who could literally do anything on the baseball field…and then he became an offensive juggernaut that could not be contained. The all-time home run king took that whole era to another level and it wasn’t even close. You might not like him or what he had to do to elevate his game, but I am not concerned about any of that when it comes to voting. 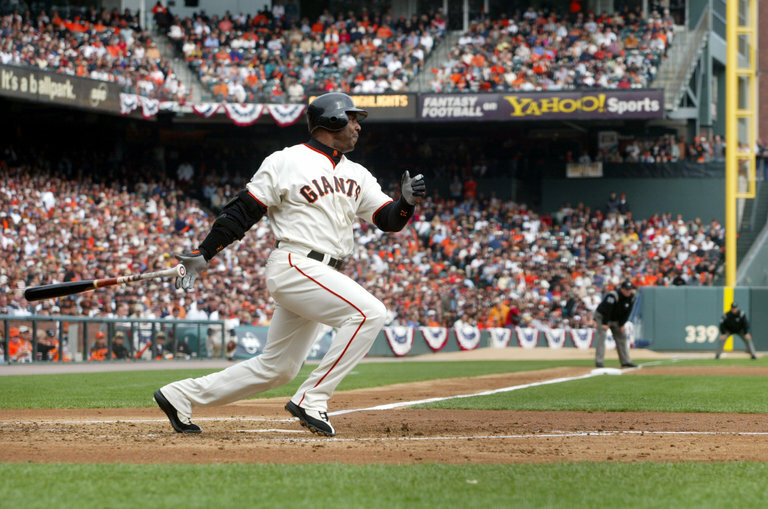 To me, Bonds is a slam dunk pick and should already be in the Hall of Fame. Like Bonds, Clemens is an easy pick, the greatest pitcher of his era and one of the greatest pitchers of all-time. Clemens won the Cy Young Award seven times throughout his career, and is on a list of statistics that garner him near the top of almost all pitching leader boards. Both Bonds and Clemens seem to be garnering more support, as the election of former Commissioner Bud Selig to the Hall seems to have allowed some voters to start putting an ‘x’ in the box next to their names. At one time it appeared both men would have to wait until they showed up on the Veteran’s Committee ballot before they would get elected; now we could see that wall busted through in the next couple of years. Wagner was a seven time All-Star, twice was in the top ten of the NL Cy Young award and took home the 1999 NL Rolaids Relief Award. While he sits in 6th place all-time in saves, that doesn’t mean as much to me as his 86% conversion rate, which is close to Trevor Hoffman’s 88.8%. What does interest me is some of the deeper numbers when compared to fellow relievers. Wagner is 5th all-time for relievers in ERA+, 14th for relievers in bWAR (in fact, just under Hoffman), 4th in strikeouts for a reliever, 86th in Adjusted Pitching Runs, 93rd in Adjusted Pitching Wins, 55th in RE24, and 36th in Win Probability Added. All this was done in less than 1,000 innings, which for some is a hindrance rather than a positive. I get that relievers today aren’t used in the same scenarios as their forefathers, and because of that their innings totals will seem meek in comparison. But that is also what the role calls for nowadays and there is something to be said for compiling numbers like this in a much shorter amount of time. For Wagner, it was more about the efficiency than the longevity; Wagner came in, shut down the opposing team and was done. In some ways, Wagner and Hoffman are linked in that they both pitched about the same amount of time, in the same period and were equally efficient. Both were top of the food chain for their position and in my eyes, both should be in Cooperstown. If there is a position that is under-represented in Cooperstown, it is third base. Only 16 third baseman are enshrined into the “Hallowed Halls” (which is the lowest of any single position) but it looks as if number 17 will be inducted this summer, as Chipper Jones feels like a slam-dunk to get voted in. When it comes to just third baseman, Chipper is ranked high among the elite at his position: 6th in WAR, 8th in WAR7 (which are a combination of his seven best seasons), 8th in JAWS (which is a combination of the previous two WAR stats), 6th in hits, 3rd in home runs, 2nd in RBI’s, 7th in on-base percentage, 4th in slugging and 9th in OPS+. In the Hall of Stats, Chipper is ranked 6th all-time at the position and considering the other numbers that feels like a fair spot for him. While it is obvious he ranks among the best at his position, that did make me curious to see where his place was in the all-time rankings of baseball history. The numbers actually tell the story of a great baseball player: 51st in career WAR (32nd for position players), 25th in offensive WAR, 54th in on-base percentage, 51st in slugging percentage, 37th in OPS, 60th in career hits, 32nd in total bases, 33rd in home runs, 34th in RBI’s, 16th in career walks (this actually surprised me a bit), 72nd in OPS+, 25th in runs created, 28th in extra base hits, and 15th in career Win Probability Added. It is easy to tell that Jones was a Hall of Famer but there is more to it than just his place in history. Jones was drafted as a shortstop by the Braves, but ended up only playing 49 games at the position in the big leagues. While Chipper is known as a third baseman (and that is where he played the most games), Jones did spend the 2002-2003 seasons out in left field, as the Braves had Vinny Castilla playing at third base. To me, this felt a bit like Kris Bryant, who has floated around for the Cubs the last few years at third base and the outfield. Jones was also a switch hitter and easily one of the best of his kind in baseball lore. In fact, Fangraphs ranked the greatest switch hitters in MLB history a few years back and Jones came in at number two, just behind Mickey Mantle and ahead of Hall of Famers Eddie Murray, Tim Raines and Roberto Alomar. But what statistic stood out to me the most in Chipper’s career? From 1996 to the end of his career in 2012, Jones never posted an OPS+ below 116. In other words, for the duration of his career, Chipper never produced an offensive season below league average (his lowest was a 108 that he posted in his rookie year of 1995). To play 19 seasons in the big leagues and never get below the league average is the definition of consistency and is just one of many numbers that prove that Chipper Jones deserves induction to the baseball Hall of Fame. For those of you that wouldn’t vote for a Bonds or a Schilling for how they have acted in the past, Thome would be your measuring stick for the other side of the pendulum. A vote for Thome is not only for the great numbers that rank among the best in history. No, a vote for Thome is one for a guy who was a Hall of Fame player AND person. I’m pretty sure Thome is another lock to be giving a speech in upstate New York this upcoming summer. Over the last few years I have gone back and forth on Gary Sheffield and his candidacy for the Hall of Fame. Maybe it was because he bounced around from team to team, or the fact that he bounced between the infield and the outfield throughout his career. Either way, it was easy to leave Sheff out of the conversation and feel like he was on the cusp of greatness. But when I finally broke down the numbers, it really felt like his case has been one of the most overlooked when it comes to the hall. Sheffield played right field more than any other position, so I first stacked his numbers against the others at that position. Sheffield is 19th in WAR for right fielders, just below Shoeless Joe Jackson and Dave Winfield. He ranks a bit lower on his peak, as he sits 24th in WAR7, above Hall of Famers Winfield, Chuck Klein, Willie Keeler, and Enos Slaughter. He is also at 24th in JAWS while 7th in home runs, 8th in RBI’s, 12th in OPS and 15th in OPS+. Now, right fielders are well represented in the hall (24 to be exact) so Sheffield holds his own in the position, even if he is slightly below the elite level. But as I mentioned earlier, I’m a big proponent of where players stack up all-time and that is where Sheffield shines. He is 35th in offensive WAR (obviously his defense dragged him down a bit in the WAR category), 88th in on-base percentage, 76th in slugging percentage, 58th in OPS, 69th in hits, 34th in total bases, 26th in home runs, 28th in RBI’s, 21st in walks, 78th in OPS+, 26th in runs created, 39th in extra base hits, 25th in RE24, and 16th in Win Probability Added. I’m sure the fact he played 22 seasons helped him compile a decent amount of those numbers, but he also was able to stay healthy and be a consistent run producer for almost the entirety of his career. Sheffield had six seasons with an OPS+ of 150 or more and was above league average for all but two years of his career (one was his rookie year and the other was his age 39 season). So what has hurt Sheffield’s case? I’m sure a few people would mention that his name was in the Mitchell Report and had been linked to PED’s in the past. Like I mentioned, that doesn’t affect my voting. But the other concern was his defense. It didn’t really matter whether he was at shortstop, third base or the outfield, he just wasn’t a great fielder. In the past I’ve not voted for Jeff Kent because of his defense and I didn’t vote for Omar Vizquel this year because of his lack of offense. So what was the difference with Sheff? His offense was so good that it crossed out any issues I had with his defense. I’m also a “Big Hall” guy and feel like Sheffield was one of the great hitters of his era. I can understand if someone leaves him off (he is a fringe guy in this regard), but for me he was far enough above the line to be considered one of the greats. When thinking about Mike Mussina, what is the first thing that springs to mind? Is it his start in Game 7 of the 2003 ALCS? Or maybe his use of the knuckle-curve, which was his out pitch? Or does nothing specific pop into your mind when hearing Mussina’s name? I sometimes wonder if those of us on the Mussina bandwagon would have to praise his career if he had been even just a tad bit flashier.What I end up realizing is that part of what made him so great was that he wasn’t flashy and just went out for 18 seasons and performed as a top of the rotation starter in that span. There are no Cy Young awards on his mantle, but there are numbers that back up his greatness. Mussina has the 24th best bWAR for pitchers, 19th in strikeouts, 22nd best strikeout to walk ratio, 17th best adjusted pitching runs, 21st best adjusted pitching wins, 9th best RE24, and 10th best Win Probability Added. Mussina was that guy who you could count on for a big win or just to go out and save the bullpen from being overused. Mussina jumped up to 51.8% of the ballots in 2017 and it appears he is inching closer to the 75% he needs to reach the Hall. One of the pitchers that Mussina’s stats are comparable to is another former Oriole, Jim Palmer. While Palmer might have the accolades that Mussina does not have, the one thing in common is that both pitchers deserve to be in the baseball Hall of Fame. There might not be a bigger lightning rod on the Hall of Fame ballot than Schilling, who has caught quite a bit of scorn for his behavior on social media within the last couple of years. While I might not agree with his politics, I do realize it has nothing to do with his candidacy in the Hall and justly had no qualms in voting for him yet again this year. Schilling’s numbers speak of a top-notch starter: 26th all-time in pitchers bWAR, 15th in strikeouts, 3rd best strikeout to walk ratio, 18th best Win Probability Added and 46th best ERA+. Those are just his regular season numbers; toss in the postseason and you have a surefire Hall of Famer. Schilling has rubbed many a writer the wrong way (and by no means do I feel sorry for Curt; he would probably be better off learning when to keep quiet) and because of that his vote totals went down last year, down 7.3 %, finishing at 45%. I might not like Schilling the person, but the baseball player was one hell of a pitcher out on the diamond. For that, he has my vote. For the third consecutive season, I voted for Trevor Hoffman. There has been plenty of debate on whether or not closers should be judged on a different criteria than most other positions and to a small degree I get some of the trepidation. Closers today don’t always face the strongest part of the lineup and it seems odd to have your best bullpen arm only throw an inning or less an outing. The thing to remember though is that “the closer” is still a position and if you excel at it for 16 seasons, you should be rewarded justly. In some ways, the Hoffman argument is very similar to Tim Raines; Raines was the second best leadoff hitter of his time, behind another Hall of Famer in Rickey Henderson. Hoffman was the second best closer of his, behind future Hall honoree Mariano Rivera. Hoffman not only shouldn’t be punished for not being Rivera, but was about as consistent as one can be. During his career, Hoffman posted 15 consecutive seasons of 20+ saves (and I hate the save stat, but this is still very impressive) and had an 88.8% save conversion rate, which within itself is almost insane when you consider the amount of save opportunities he received in his career.Throw in his lethal change-up that was almost as deadly as Rivera’s cutter, and you have a one of the best relievers of all-time. He might be no Mariano Rivera, but then again who is? What Hoffman is though is a Hall of Fame closer. Many voters have said the difference to them between Bonds or Clemens and Rafael Palmeiro or Ramirez is that the latter tested positive for performance enhancing drugs and was justly suspended. In fact, last year when I started filling out my ballot, I paused on Ramirez and had to really stop and think of which direction I wanted to go. Like I have said, my voting is performance based but an actual suspension (and for Manny it was multiple suspensions) muddies the water a bit. After much contemplation, I went ahead and voted for Manny since he had put up Hall of Fame numbers before the suspensions. While Ramirez wasn’t a stellar defender (and that is evidenced by his career bWAR of 69.2), offensively he was a juggernaut. Manny posted a career line of .312/.411/.585 with 555 career home runs, and an OPS+ of 154. I firmly believe he could hit blindfolded and still produce league average numbers, as he was that good of a hitter. Manny also contributed during the playoffs, where he hit .285/.394/.544 with 29 home runs and 78 RBI’s over 111 postseason games, all fairly on pace to his regular season averages. The awards are all there for him as he was a 12 time All-Star, 2 time Hank Aaron award winner, 2002 AL batting title, 2004 World Series MVP, and 9 time Silver Slugger award winner. If that isn’t impressive enough, the numbers are quite gaudy: 32nd all-time in oWAR, 32nd in On-Base Percentage, 8th in Slugging Percentage, 8th in OPS, 29th in total bases, 31st in doubles, 15th in home runs, 18th in RBI’s, 28th in OPS+, 21st in runs created, 17th in Adjusted Batting Runs, 20th in Adjusted Batting Wins, 16th in extra base hits, 11th in RE24, and 23rd in Win Probability Added. Those are Hall of Fame numbers and most of that accumulated before he tested positive for anything. Would I hold it against anyone for not voting for him because of the suspensions? Nope. I get it.But for me, Ramirez has long been a Hall of Famer; the only thing those suspensions did was tarnish the perception of him, which is unfortunate. Instead of people remembering Manny for his child-like antics or immense hitting, he will be branded a cheater. He has no one else to blame for that, but I still felt like he had earned my vote, scarlet letter and all. If there is a player I voted for that I feel others will look past on first glance when they absolutely shouldn’t, it’s Scott Rolen. I mentioned earlier how under-represented the position of third base is and voting for both Chipper and Rolen would go a long way toward making up some much-needed ground. While Chipper’s case mostly lies on his offense, Rolen’s leans a bit more toward his defense. While the defensive metrics still feel a bit like a work in progress, there is no denying that he was an elite defender. Rolen sits 6th all-time in total zone runs as a third baseman, 32nd for range factor/9 innings for a third baseman and is second in defensive runs saved as a third sacker since 2002. Rolen was 48th all-time in defensive WAR, an eight-time Gold Glove winner and outside of maybe Adrian Beltre, was considered the elite defender at the position during his day. Now, defense alone doesn’t get you in the hall, otherwise someone like Mark Belanger would have a nice little plaque. Luckily for Rolen, his offense was stellar as well. The stats don’t speak as a world beater as much as a consistent performer throughout his 17 year career; 99th all-time in WAR (67th for position players), 51st in career doubles, 74th in extra base hits and 104th in Win Probability Added. Like I said, not breaking any records but I doubt many would expect these kind of footprints stepping into the statistical records of baseball history. But to truly honor Rolen’s greatness, all you have to do is view his place in third basemen all-time. Rolen sits 10th for third basemen all-time in WAR, 14th in WAR7, and 10th in JAWS. If you believe in those numbers as much as I do, you consider Rolen one of the greatest third baseman in history…but there is more. When considering the other players at his position, he is 6th in doubles, 15th in home runs, 14th in RBI’s, 14th in slugging percentage, and 11th in OPS. To top it all off, the Hall of Stats has him listed as a 142 Hall Rating, 85th all-time overall and 8th among third baseman. In other words, he was great and totally deserves this honor. I really wish Rolen was getting more support this year, since I really feel like he is the third base equivalent of Alan Trammell. Great numbers, especially the more you dive into them but overshadowed by his peers who played at the same time. It would be great to see Rolen and Trammell get inducted together; unfortunately, it appears Rolen will have to wait for his honor. At some point he will get his acknowledgement, it’s just a matter of how long that takes to happen. From an advanced metrics standpoint, Santana is obviously short of the WAR-based career, peak and JAWS standards, but he outdoes many big-name Hall of Famers. His 51.4 career WAR (including offense) is tied for 102nd all time but beats that of 11 enshrined pitchers, including Sandy Koufax (49.0), Dean (44.9), and Catfish Hunter (41.4), not to mention Morris (44.1). His 44.8 peak score, which is tied with Dave Stieb for 61st, is higher than 25 of the 62 (or 26 of 63 if you include Morris), and his 48.1 JAWS, which ranks 85th, tops 15 enshrinees (plus Morris), including Koufax (47.5), Whitey Ford (46.0), Dean and Bob Lemon (both 43.9), and Hunter (38.3). When it comes to WAR, Santana trumps Koufax, 51.4 to 49.0. For their seven-year peak, Koufax beats Santana, 46.1 to 44.8. Now for JAWS, Santana slides by Koufax, 48.1 to 47.5. Since both pitchers had 12 year careers, I thought I would look at some of the other stats and see where they stand. Koufax easily beats Santana in ERA, WHIP, Hits per 9, Strikeouts per 9, and Strikeouts, while Santana beats him in Strikeout to Walk Ratio. Granted they played in different times, when starting pitchers were used differently, but there really doesn’t appear to be a huge gap between the two players overall. So then I ask the question: if you feel Koufax is a surefire Hall of Famer (which I’m pretty sure no one is arguing), then why isn’t Santana? To me he is, which is why I voted for him. The voting has not been going well for him so far (he is polling at 1.3% so far with 46.9% of the ballots known) and it appears he will fall off the ballot for next year. It’s unfortunate, because he really feels like a guy who should be getting a longer look. Instead, you have to hope the Modern Baseball Era committee will give him a longer look when that times comes. To quote Neil Young, “It’s better to burn out, than to fade away”. This was the second year I voted for Walker and my take on him seemed to be a bit different from a lot of folks. For many, the fact that Walker played a large chunk of his home games in Coors Field (Walker was a Rockie from 1995 to 2004) seemed to deter voters from placing a vote for him; I had no issue with that, since I knew he hit on the road almost as well as he did at home. No, my issue with him was injuries, as he had 7 seasons of less than 130 games, 12 of less than 140. Walker’s issue wasn’t the ‘Rocky Mountain High’s’ as much as the ability to stay on the field and play. The numbers speak volumes: .313/.400/.565 career slash line, 141 career OPS+, 5 time All-Star, 1997 NL MVP, 3 batting titles, and 7 time Gold Glove winner. So what changed for me when it comes to Walker? His place in history. According to JAWS, Walker is the 10th best right fielder of all-time. All-Time! Just seeing who he is better than sounds like a who’s-who of right fielders: Shoeless Joe Jackson, Tony Gwynn, Ichiro Suzuki, Dwight Evans, Dave Winfield, Vladimir Guerrero, Willie Keeler, Paul Waner and Enos Slaughter, just to name a few. Walker is 86th all-time in bWAR, 56th in bWAR for position players, 55th in on base percentage, 12th in slugging percentage, 14th in OPS, 31st in power-speed #, 38th in RE24, and 36th in Win Probability Added. Those numbers are just a sliver of what he could do; there are 7 other categories where Walker is in the Top 100 of all-time. What makes me curious is the voting for Walker during the first six years on the ballot; He peaked in 2012 at 22% and last year bumped up a bit to 21.9%. One has to wonder if the voters viewpoint of him would change if he hadn’t played so many games in Colorado. It took me awhile to recognize it, but Walker deserves to be with the other elite right fielders in Cooperstown. So there you go, my 13 picks to be inducted into the IBWAA Hall of Fame. One player that could get my vote next year is Andruw Jones. I reluctantly left him off this year, as I’m not 100% sold on him being one of the elite, but he is one that I did heavily consider during this process. One other player that fell quite a bit short was Omar Vizquel. There are those that believe his defense is enough to get him in. Unfortunately, his offense was more than lacking: a career OPS+ of 82 and only 45.3 WAR in his career shows that his defense was not enough to get my vote. 2019 should be interesting, as a number of big names will pop up on the ballot: Mariano Rivera, Roy Halladay, Todd Helton, Andy Pettitte, Lance Berkman and Roy Oswalt will all be on the list. It’s probably a good thing that it looks like as many as five players could be inducted this year, as a number of worthy candidates will be added next year. Don’t worry; while the voting will commence on Wednesday, the debate will rage on. There is no greater honor in any sport than getting a plaque in the baseball Hall of Fame. I’m sure someone who believes the NFL or NBA is a greater honor will debate me on this, but there is never the sort of debate toward their hall’s as there is in baseball. That debate has grown into a fervor amongst baseball fans, writers and even players, as every one seems to have an opinion on this topic. What has made it even more intense is what we should do with players who were “suspected” of enhancement thanks to steroids and other performance enhancement drugs, and whether or not they deserve a spot in the hallowed halls of Cooperstown or left on the outside looking in. In some ways, the people who vote on this honor are the judge, jury and executioner, as testing was not done during this period so for many of the players of that era there is no definite of what they did or did not do. As a member of the IBWAA, this will be my third year of voting for ‘the Hall’ and as I have said in years past, I have no issue voting for anyone suspected for PED use, since I feel those players played within the parameters of the rules allowed at that time. I’ve long considered the Hall of Fame a museum of the game, not a church, and because of this I vote based on performance alone. Now, there are a few differences between us in the IBWAA & our brethren in the BBWAA, one of which is the players we have already inducted. Last year we inducted Ken Griffey Jr. and Edgar Martinez, and in years past we had already voted in Mike Piazza, Jeff Bagwell and Tim Raines, so none of those players showed up on our ballots this year. Also, we are allowed to vote for up to 15 players, where as the BBWAA can only vote for 10. Before we get to my actual votes, you can read my previous votes: Here is 2014, 2015, and 2016. Also, follow Ryan Thibodaux on Twitter. That way you can follow how the voting is going before the big announcement on January 18th. Without further ado, here are my votes for the 2017 Hall of Fame ballot. Like Bonds, Clemens is an easy pick, the greatest pitcher of his era and one of the greatest pitchers of all-time. Clemens won the Cy Young Award 7 times throughout his career, and is on top of a plethora of statistics that garner him near the top of almost all pitching leaderboards. Both Bonds and Clemens seem to be garnering more support, as the election of former Commissioner Bud Selig to the Hall seems to have allowed some voters to start putting an ‘x’ in the box next to their names. At one time it appeared both men would have to wait until they showed up on the Veteran’s Committee ballot before they would get elected; now we could see that wall busted through in the next couple of years. Guerrero is the first debut on my ballot this year and appears on the surface to be a borderline pick for the Hall, but digging deeper shows you a guy who should be more of an easy pick for voters. Most will remember Guerrero as a hitter who never saw a pitch he didn’t like (as he was a notorious bad-ball hitter), but he was also a very good hitter, which those two things normally clash if put together. Instead, Guerrero posted a career .318/.379/.553 line with 449 home runs and 2,590 hits during his 16 year career, with a career contact rate of 79.9%. The accolades are there with this guy: 2004 AL MVP, 9 time All-Star, 8 time Silver Slugger award winner and 2010 Edgar Martinez award winner. All that should entice a voter’s view of Vlad, but what really takes the cake is his place in history when it comes to his offensive stats. Guerrero’s all-time rank is staggering: 56th all-time in batting average, 24th in slugging percentage, 34th in OPS, 49th in total bases, 85th in doubles, 38th in home runs, 57th in RBI’s, 79th in OPS+, 64th in runs created, 56th in adjusted batting runs, 61st in adjusted batting wins, 45th in extra base hits, 5th all time in intentional bases on balls, 45th in power-speed #, 59th in RE24, and 50th in Win Probability Added. Most people could tell you that he was a really good player, but it isn’t until the numbers slap you in the face that you see just how great he was, not just really good. The cherry on top of his offensive numbers is this fun little fact that Graham Womack found: Guerrero’s career batting average, home runs and hits are only topped in baseball history by five players. Those five? Ted Williams, Babe Ruth, Jimmie Foxx, Stan Musial and Lou Gehrig. Yes, all five are Hall of Famers and yes, Vladimir Guerrero should be as well. If not this year, hopefully Vlad will get in the Hall in the very near future. For the second consecutive season, I voted for Trevor Hoffman. There has been plenty of debate on whether or not closers should be judged on a different criteria than most other positions and to a small degree I get some of the trepidation. Closers today don’t always face the strongest part of the lineup and it seems odd to have your best bullpen arm only throw an inning or less an outing. The thing to remember though is that “the closer” is still a position and if you excel at it for 16 seasons, you should be rewarded justly. In some ways, the Hoffman argument is very similar to Tim Raines; Raines was the second best leadoff hitter of his time, behind another Hall of Famer in Rickey Henderson. Hoffman was the second best closer of his, behind future Hall honoree Mariano Rivera. Hoffman not only shouldn’t be punished for not being Rivera, but was about as consistent as one can be. During his career, Hoffman posted 15 consecutive seasons of 20+ saves (and I hate the save stat, but this is still very impressive) and had an 88.8% save conversion rate, which within itself is almost insane when you consider the amount of save opportunities he received in his career.Throw in his lethal change-up that was almost as deadly as Rivera’s cutter, and you have a one of the best relievers of all-time. He might be no Mariano Rivera, but then again who is? What Hoffman is though is a Hall of Fame closer. When thinking about Mike Mussina, what is the first thing that springs to mind? Is it his start in Game 7 of the 2003 ALCS? Or maybe his use of the knuckle-curve, which was his out pitch? Or does nothing specific pop into your mind when hearing Mussina’s name? I sometimes wonder if those of us on the Mussina bandwagon would have to praise his career if he had been even just a tad bit flashier.What I end up realizing is that part of what made him so great was that he wasn’t flashy and just went out for 18 seasons and performed as a top of the rotation starter in that span. There are no Cy Young awards on his mantle, but there are numbers that back up his greatness. Mussina has the 24th best bWAR for pitchers, 19th in strikeouts, 22nd best strikeout to walk ratio, 17th best adjusted pitching runs, 21st best adjusted pitching wins, 9th best RE24, and 10th best Win Probability Added. Mussina was that guy who you could count on for a big win or just to go out and save the bullpen from being overused. Mussina jumped up to 43% of the ballots in 2016 and one can only hope he inches closer to the 75% he needs to reach the Hall. One of the pitchers that Mussina’s stats are comparable to is another former Oriole, Jim Palmer. While Palmer might have the accolades that Mussina does not have, the one thing in common is that both pitchers deserve to be in the baseball Hall of Fame. Manny makes his debut on the Hall of Fame ballot and with that comes a bee-hive of debate. Many voters have said the difference to them between Bonds or a Clemens and Palmeiro or Ramirez is that the latter tested positive for performance enhancing drugs and was justly suspended. In fact, when I started filling out my ballot, I paused on Ramirez and had to really stop and think of which direction I wanted to go. Like I have said, my voting is performance based but an actual suspension (and for Manny it was multiple suspensions) muddies the water a bit. After much contemplation, I went ahead and voted for Manny since he had put up Hall of Fame numbers before the suspensions. While Ramirez wasn’t a stellar defender (and that is evidenced by his career bWAR of 69.2), offensively he was a juggernaut. Manny posted a career line of .312/.411/.585 with 555 career home runs, and an OPS+ of 154. I firmly believe he could hit blindfolded and still produce league average numbers, as he was that good of a hitter. Manny also contributed during the playoffs, where he hit .285/.394/.544 with 29 home runs and 78 RBI’s over 111 postseason games, all fairly on pace to his regular season averages. The awards are all there for him as he was a 12 time All-Star, 2 time Hank Aaron award winner, 2002 AL batting title, 2004 World Series MVP, and 9 time Silver Slugger award winner. If that isn’t impressive enough, the numbers are quite gaudy: 32nd all-time in oWAR, 32nd in On-Base Percentage, 8th in Slugging Percentage, 8th in OPS, 29th in total bases, 31st in doubles, 15th in home runs, 18th in RBI’s, 28th in OPS+, 21st in runs created, 17th in Adjusted Batting Runs, 20th in Adjusted Batting Wins, 16th in extra base hits, 11th in RE24, and 23rd in Win Probability Added. Those are Hall of Fame numbers and most of that accumulated before he tested positive for anything. Would I hold it against anyone for not voting for him because of the suspensions? Nope. I get it.But for me, Ramirez has long been a Hall of Famer; the only thing those suspensions did was tarnish the perception of him, which is unfortunate. Instead of people remembering Manny for his child-like antics or immense hitting, he will be branded a cheater. He has no one else to blame for that, but I still felt like he had earned my vote, scarlet letter and all. His numbers are somewhat mind-boggling for a catcher, a position that has been very hard for most to excel on both offense and defense. Rodriguez is 9th all-time in career defensive WAR, 48th in hits, 54th in total bases, 26th in doubles, 97th in RBI’s, 58th in extra base hits, 13th in Total Zone Runs, 1st in defensive games as a catcher, 1st in career putouts as a catcher, 23rd in assists at catcher, 5th in double plays turned at catcher, 78th in caught stealing percentage, and 1st in Total Zone Runs as a catcher. In some ways, Rodriguez re-invented the catcher position, as he was a hybrid of speed, guile, power, and nimble defense with a cannon of an arm. According to JAWS (which is a ranking system created by Jay Jaffe that is of great use to help determine Hall of Fame worthiness), is the third best catcher of all-time, just behind Johnny Bench and Gary Carter. When you factor in his comparable players (Carlton Fisk, Ted Simmons, Carter and Yogi Berra) it is easy to see why Rodriguez should be a first ballot HOFer. So far, he is polling at 79.9% of the ballots, which is probably a good sign that he will either get in this year or come up just short, which would be a good sign for 2018. In my eyes, there is no debate here: Pudge is one the greats of the game. There might not be a bigger lightning rod on the Hall of Fame ballot than Schilling, who has caught quite a bit of scorn for his behavior on social media within the last year. While I might not agree with his politics, I do realize it has nothing to do with his candidacy in the Hall and justly had no qualms in voting for him yet again this year. Schilling’s numbers speak of a top notch starter: 26th all-time in pitchers bWAR, 15th in strikeouts, 3rd best strikeout to walk ratio, 18th best Win Probability Added and 46th best ERA+. Those are just his regular season numbers; toss in the postseason and you have a surefire Hall of Famer. Schilling has rubbed many a writer the wrong way (and by no means do I feel sorry for Curt; he would probably be better off learning when to keep quiet) and because of that his vote totals have gone down this year, but so far he is polling exactly where he finished last year, at 52%. I might not like Schilling the person, but the baseball player was one hell of a pitcher out on the diamond. For that, he has my vote. This year is the first that I voted for Wagner, although I came very (very) close to voting for him in 2016. Since I was so close last year to marking an ‘X’ next to his name, I decided to dig deeper into his numbers and compare them to some of his peers. Wagner was a 7 time All-Star, twice was in the top ten of the NL Cy Young award and took home the 1999 NL Rolaids Relief Award. While he sits in 6th place all-time in saves, that doesn’t mean as much to me as his 86% conversion rate, which is close to Trevor Hoffman’s 88.8%. What does interest me is some of the deeper numbers when compared to fellow relievers. Wagner is 5th all-time for relievers in ERA+, 14th for relievers in bWAR (in fact, just under Hoffman), 4th in strikeouts for a reliever, 86th in Adjusted Pitching Runs, 93rd in Adjusted Pitching Wins, 55th in RE24, and 36th in Win Probability Added. All this was done in less than 1,000 innings, which for some is a hindrance rather than a positive. I get that relievers today aren’t used in the same scenarios as their forefathers, and because of that their innings totals will seem meek in comparison. But that is also what the role calls for nowadays and there is something to be said for compiling numbers like this in a much shorter amount of time. For Wagner, it was more about the efficiency than the longevity; Wagner came in, shut down the opposing team and was done. In some ways, Wagner and Hoffman are linked in that they both pitched about the same amount of time, in the same period and were very equally efficient. Both were top of the food chain for their position and in my eyes, both should be in Cooperstown. Much like Wagner, this was the first year I voted for Walker and my take on him seemed to be a bit different than a lot of folks. For many, the fact that Walker played a large chunk of his home games in Coors Field (Walker was a Rockie from 1995 to 2004) seemed to deter voters from placing a vote for him; I had no issue with that, since I knew he hit on the road almost as well as he did at home. No, my issue with him was injuries, as he had 7 seasons of less than 130 games, 12 of less than 140. Walker’s issue wasn’t the ‘Rocky Mountain High’s’ as much as the ability to stay on the field and play. The numbers speak volumes: .313/.400/.565 career slash line, 141 career OPS+, 5 time All-Star, 1997 NL MVP, 3 batting titles, and 7 time Gold Glove winner. So what changed for me when it comes to Walker? His place in history. According to JAWS, Walker is the 10th best right fielder of all-time. All-Time! Just seeing who he is better than sounds like a who’s-who of right fielders: Shoeless Joe Jackson, Tony Gwynn, Ichiro Suzuki, Dwight Evans, Dave Winfield, Vladimir Guerrero, Willie Keeler, Paul Waner and Enos Slaughter, just to name a few. Walker is 86th all-time in bWAR, 56th in bWAR for position players, 55th in on base percentage, 12th in slugging percentage, 14th in OPS, 31st in power-speed #, 38th in RE24, and 36th in Win Probability Added. Those numbers are just a sliver of what he could do; there are 7 other categories where Walker is in the Top 100 of all-time. What makes me curious is the voting for Walker during the first six years on the ballot; He peaked in 2012 at 22% and last year bumped up a bit to 15%. One has to wonder if the voters viewpoint of him would change if he hadn’t played so many games in Colorado. It took me awhile to recognize it, but Walker deserves to be with the other elite right fielders in Cooperstown. Jeff Kent-While being one of the best offensive second baseman of all-time, his defense hurts him a ton. 19th all-time in bWAR for second sackers, 27th in WAR (which factors in a players best 7 seasons). Even just factoring in hitting, he is 18th amongst his position in OPS+. Close, but not quite. Fred McGriff-Also close, but just misses the cut for me. Number-wise he is in the “very good but not quite great” category. Gary Sheffield-I go back and forth on him every year, mainly because I love his offensive numbers and where they stand in baseball history. But his defense…he has a career bWAR of 60.3; just imagine if he was even just an average defender? Sheff is a close call for me and could very well win me over next year. Lee Smith-Longevity seems to be his main catch but nothing much really stands out for me. Nice strikeout ratio and ERA+, but outside of that he would seem to fit in the “good not great” category. Sammy Sosa-Sosa always felt like a one-dimensional player: home runs and not much more. In fact, when you consider he hit over 600 home runs, you would think his bWAR would be higher than just 58.4.Below average defender, struck out a lot, and only cracks the Top 100 of all-time in six offensive categories. Not a Hall of Famer in my eyes. I always love writing these Hall of Fame articles, as there is a ton of research to gloss over. Every year I feel like I receive a greater perception of the bigger picture and every year I feel like I left someone off that maybe deserved a deeper look into their case. Some of these you will agree with, some you won’t, as each person’s definition of a Hall of Famer seems to be different. What I can say that in my eyes these are the best of the best and earned the honor. There really has been only one topic on the minds of anyone who follows the Kansas City Royals: will Alex Gordon re-sign with Kansas City and continue to be the pillar of this championship Royals team? After months of speculation(and worry that he would leave) we found out on Wednesday that Gordon was staying with the only major league team he has ever known, signing a 4 year, $72 million dollar contract with an option for a 5th year. So how does that deal break down? It’s interesting to see that Gordon will actually be making less this upcoming season than he made in 2015, but it is not surprising to see the contract back-loaded with a mutual option(seriously, Dayton loves those mutual options) in year five. So what does this mean for the Royals moving forward? Financially, Gordon’s contract gives the team flexibility not only for this year(after expected arbitration raises and probably the signing of another starting pitcher, the team’s payroll will probably be above $120 million, which really isn’t a giant increase from 2015), but also 2017. Why those two years? The main core of this Kansas City team will be intact for at least the next two years, so the Royals chances of continuing to reach the postseason is greater now for those two years. A smaller deal for Gordon helps out the rest of that payroll and could very well impact the team if they try to make another big deal in July if so be it. Now his contract goes up in years 3 and 4 of the deal, but I would say there is a good chance that by then this contract won’t look as imposing when you look at the influx of money within the game of baseball right now. Add in that the Royals should be able to restructure their TV deal around 2018 and the Royals could be playing with even more money than they have right now. Obviously the big part of this deal is that it gives GM Dayton Moore more wiggle room to help get the pieces needed to keep this team a contender through 2017, which will then see Eric Hosmer, Mike Moustakas, Lorenzo Cain, Wade Davis and Alcides Escobar become free agents. The signing also means the chances of Kansas City taking advantage of their window have improved with the return of Gordon. Realistically, the Royals have the next two seasons to take advantage of their current core players and have a better chance of reaching the playoffs again with Gordon in tow. I am of the belief that without Gordon’s return, the chances of Kansas City returning to October baseball would have been much harder to accomplish, where as now they return the “backbone” of the team. About a month ago I went into deep detail on why the Royals should bring back Alex and it seems obvious when I say this team is better with Alex roaming left field for the next four years. To me, I wouldn’t even worry too much about 2018 and instead focus on the here and now. If the Royals reach the postseason the next two years(or even one of the two), that means more people coming to the ballpark, meaning more money coming into the team. To me, that extra money could be used on whatever the game plan is for after the 2017 season, which could be to re-sign a Cain or a Hosmer(I know, he is a Boras client so the likelihood is not very high) or go out and revamp the team. Either way, giving the Royals the best chance possible to win now helps the organization in the future as well. Keeping Gordon in the fold helps in that regard. Speaking of the core Royals group, I also felt like Gordon was the best choice for a long-term deal out of that group mentioned earlier. Hosmer and Moustakas are almost completely off the table since they are Scott Boras clients and he will always tell his clients to take the deal that will make them the most money. I love Wade Davis but he is a reliever and you should never give a reliever a long-term deal(unless his last name is Rivera). That leaves Cain and Escobar, who will both be in their low 30’s at this point. I love both guys but Cain has a long injury history and a big part of Escobar’s game(speed) will have started to regress at this point which makes a long-term deal seem iffy. To me, Gordon will regress the best out of this bunch and will probably come close to his expected production over the next couple years that will make his deal worth the money that was spent. In fact Craig Brown of Royals Authority took a look at just that the other day, taking a look at his Steamer & ZiPS projections over the course of the deal and putting that up against his earnings during those years. I feel you can also throw in what he means to that clubhouse, as many a teammate has referred to Gordon as the “backbone” of the team. He isn’t the rah-rah team leader, but that is why they have Salvador Perez. Gordon is the quiet one who leads by example and it is normally a “balls to the wall” type example that he plays by for them to follow. Concerns? There are always concerns when signing a player to a deal of this size, and most of them are health related. Gordon missed some time this year due to a couple injuries, a wrist injury that limited him when the season began and a groin injury that left him out of action for August and a good chunk of July. But since Gordon made the move to left field full-time in 2011, he had played at least 150 games in all of those years before this past year. I tend to feel like the injury is an outlier for Alex, but it’s easy to see how an injury could happen to him with his “reckless abandon” style of play out on the field. We all saw what happened to Mike Sweeney late in his career, but knowing how Gordon is a health nut and his insane work-out routine, I think there is a better chance of Alex staying healthy than spending the majority of his time on the disabled list. Will he regress? Of course he will. ‘Father Time’ always wins that battle. But once again, Gordon takes good care of his body, so the belief is that his regression won’t be as steep as it normally is for others. To me it always made the most sense to bring back Gordon to the only major league team he has ever known. Gordon is beloved in Kansas City and it was the team he grew up rooting for. It only made sense for the present and the future to make sure Alex remained in Royal blue. As a fan, I was very biased on this all along. As a kid my favorite player was George Brett and would stop whatever I was doing once Brett came up to the plate. I loved the way Brett played and it became a model for me to judge other players by. As an adult, Alex Gordon is in that same pantheon for me. He is my favorite player on this Royals team and the thought of him wearing another team’s jersey was tough to stomach. Knowing now that he is locked up makes me feel better about the future of the Royals as he is the constant everyone can rely on. Alex now has four years to further cement his legacy and a deeper place into the history of the Kansas City Royals. It seems like a lock now that Gordon will one day get a statue near the fountains at Kauffman Stadium. Honestly, I can’t think of a current player more deserving than ‘#4’. I love the Winter Meetings. I have since I was a kid. There is nothing quite like the insanity of four days of trades, signings and now rumors of where a number of baseball players could be inhabiting for the upcoming season. All has been quiet on the Kansas City Royals front(well, except for a few minor moves) but it was inevitable it wouldn’t stay that way forever. So when news broke Monday morning that a few moves were very close, I figured it was time to take a peak at the two new-old signings. The first was the re-signing of right handed starter Chris Young. Young was a great signing this past year for Royals GM Dayton Moore, as he would take a flyer on the 6′ 10″ righty during Spring Training. Most of us felt like Young would be a solid pick-up, if for no reason other than the fact that he is a notorious flyball pitcher, which works well in Kauffman Stadium. Young was even better than advertised, starting 18 games while throwing out of the pen for 16 more, with a 3.06 ERA over 123 innings, an ERA+ of 135 and an FIP of 4.52. His GB/FB rate was on pace with what he has done over his career and was solid in whatever role manager Ned Yost had for him.That flexibility turned out to be a Godsend for Kansas City, as Young excelled in every role he was given, but none bigger than Game 1 of the World Series. The Royals needed someone to come out of the pen, and despite the fact that Young was the expected starter for Game 4, was called upon to eat some innings that night. All he did was pitch 3 no-hit innings, walking 1 and striking out 4. He was just what the Royals needed and ended up getting the victory after Eric Hosmer’s sacrifice fly in the bottom of the 14th. I really like this signing, as Young can fill multiple roles for this team and is a great competitor. Part of what makes Young so great is the fact that he doesn’t have to worry about a loss of velocity, as he already doesn’t throw very hard and works more on location and deception than anything else. It appears Young will start the year in the rotation, so it will be interesting to see if the Royals go after another starter, as a name like Scott Kazmir has been mentioned so far as a possible acquisition. Last year Soria split time between Detroit and Pittsburgh and performed admirably in whatever role was chosen for him. It appears at this point that he will be a setup guy for Wade Davis, so I can easily see him pitching the 8th while sliding Kelvin Herrera back to the 7th inning. Soria’s numbers looked good last year, accumulating an 2.53 ERA over 67.2 innings, with an ERA+ of 156 and an FIP of 3.71. Soria also had 24 saves(if you like that sort of thing) in 2015, the most he has had in a season since his days in Kansas City. The most impressive number from Soria this past season was an increased velocity out of his fastball. In 2015 he had an average fastball speed of 92.1 mph, his highest average speed throughout his entire career. It would appear on the surface as if his arm is fine and possibly in the best shape it has been in years. But I have my concerns. Soria has had two Tommy John surgeries so there will always be a concern that another arm injury could finish him off. 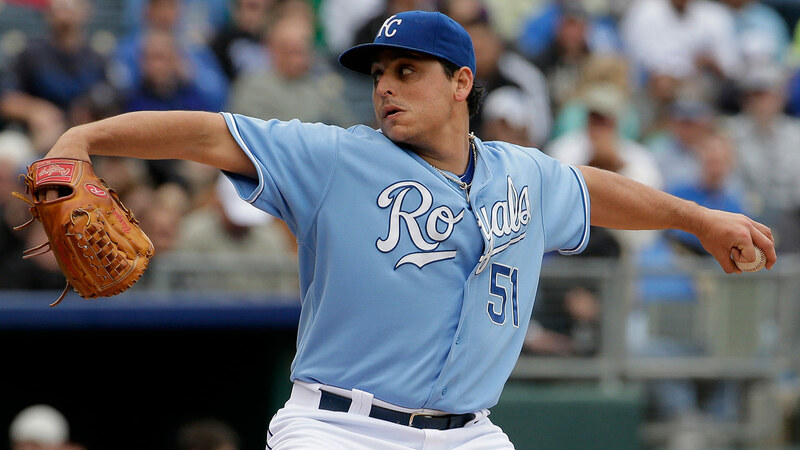 Also, it will be hard to insure Soria because of those surgeries, which doesn’t seem like a big deal but if you look at a situation like Jason Vargas, where the Royals will get most of his 2016 contract covered if he sits out the entire year, you could see the importance of being able to insure a pitcher’s arm. There has long been talk about how the Royals waited too long to try and deal Soria, and then lost him for his final Kansas City season to that 2nd Tommy John surgery. But his health isn’t the only problem I have with the Soria signing. The other aspect of this signing I have issue with is the size of the contract, both dollars and years. For one, averaging over $8 million a year(and knowing Dayton the deal will be smaller for the first year and gradually increase) just seems like too much for any reliever to me, unless you are Mariano Rivera or Dan Quisenberry. I know it is what the market is dictating right now, but I don’t agree with it. Finding hard throwing arms to fill your bullpen is fairly easy at this point and also fairly cheap. So to spend that money on a setup guy just seems almost comical. Throw in that the deal is 3 years and it goes from bad to worse. No offense to Joakim; I love the guy and I’m already looking forward to hearing ‘Welcome to the Jungle’ blare when he comes into a game at Kauffman Stadium. But for a guy with his injury history and where he is at in his career, 3 years just feels like too much. Once again, I feel the Royals could have gotten a solid reliever cheaper and probably even younger and they could have done the same job Soria will do for Kansas City. I’m glad Soria is returning to where he started, but sometimes that same magic doesn’t return just because you do. Seriously, best. news. ever. Sure, part of it is the glorious hair that Kuntz rocks. I’m sure even part of it is his name that people still butcher. But the main part is that Kuntz is a big part of that Royals coaching staff. He is the one who works with shifting the outfielders and moving them around based on which hitter is at the plate. He also works with the team on baserunning and was a big part of a big play in the ALCS against Toronto, as he picked up on something David Price had been doing and took advantage of it. Kuntz is a vital part of the Royals success and I’m glad they convinced him to return for at least one more year. Watch out ladies, the ‘Kuntz is Loose’! …and so goes day one of the Winter Meetings! There are still a few days left, so plenty of time for Dayton Moore to continue his holiday shopping for the Royals. It will be interesting to see if a couple of the main outfielders on the market start to sign if the other dominoes(ie. Alex Gordon) fall after that happens. All that can be said at this point is the dull period of the offseason is probably over; time to turn the ‘Hot Stove’ up to 11! There is nothing quite like making a guess on a player’s production based off of his past numbers…and then that player going out and proving all those stats null and void. 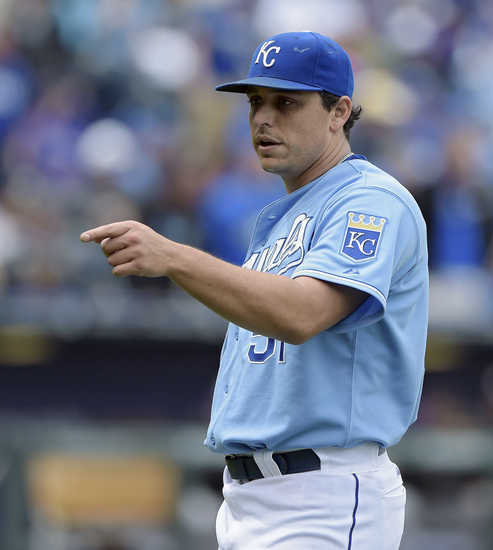 That is exactly what Kansas City Royals pitcher Jason Vargas is doing. 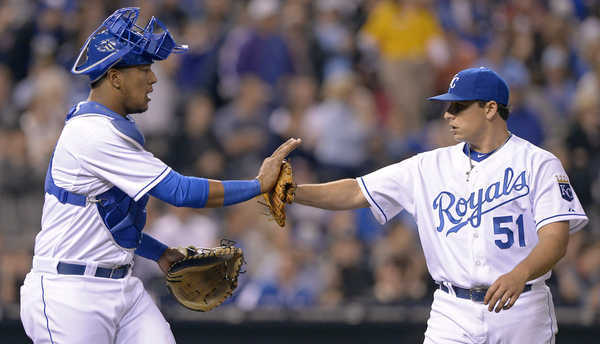 Vargas has gone out there this first six weeks of the season and not pitched like, well, Jason Vargas. Before the season, he seemed to be a great number four or five starter, someone to knock out some innings and keep the team moderately in the game. Instead the Royals were going to use him as their number two starter, which was my real complaint. I didn’t hate the Vargas signing; I thought he was misplaced at the two slot-and I felt like a four year deal was a bit much. But I didn’t hate Jason Vargas. He was a solid pitcher who despite pitching in parks that were very pitcher friendly in the past, his numbers didn’t show the success that maybe he should of. So how is a guy who has been a very average pitcher over the years now looking like a steal this off-season for the Royals? It feels like it’s time to do some diggin’. The first thing I was curious about was Vargas’ ground ball to fly ball ratio. My thinking was maybe he was inducing more ground balls (as he has been hurt in the past by the long ball) and that was helping his success. Nope. Vargas is showing about the same ratio(0.67) as he has the last few years, which has hovered around the 0.7 mark. Percentage of fly balls that were home runs? Not that either, as he is sitting at 7.1 %, the same as last year. Balls in play? Not a drastic change, as last year was 72% and this year is at 75%. I did find his line drive percentage was up a tad, 29% from last year’s 23%. To be honest, I don’t know how to take that. Part of me is glad that means more line drives mean less fly outs. But in Kauffman Stadium, line drives can be the death of you with the large gaps in the outfield. Even his double play percentage is down from last year, so safe to say that isn’t it. I started noticing some differences when looking at strikeout and walk ratio’s. Vargas’ strikeout ratio looks about the same(16.5% to 16.9 last year) but the walk ratio is down. The last couple years Vargas has had a walk ratio of 6.2% and 7.1%. This year he is sitting at a cozy 4.6 %. It’s conceivable to me that he is throwing more strikes and it’s leading to less walks. Except…his strike ratio is at 64.4%, very consistent with the percentage he has had over his career. It also appears as if he is not getting himself into a hole in the count as often either, as his 3-0 count percentage is down to 2.5%, where it has been in the 3’s and 4’s the last few years. On the other side of that coin, the percentage of 0-2 counts he has had is up, 26.6% to 21.1%. Allowing himself to work ahead in the count and have the advantage is probably helping Vargas quite a bit and leading to more favorably counts. The amount of favorable counts has to be a big part of his success this year and why he has a 78% quality start ratio, 20% higher than last year and 11% higher than 2012. Pitching ahead in the count gives the pitcher the advantage and leads the hitter to reach out of their comfort zone and maybe swing at something they normally wouldn’t. I should probably note here that I also think the Royals defense is helping Vargas out a lot. The Royals are third in the league in defensive runs saved and first in total zone total fielding runs above average(the number of runs above or below average the player was worth based on the number of plays made). The Royals are also fourth in defensive efficiency. We are all pretty aware of how good the Royals defense is and how much they help their pitchers. The Royals defense played a big part in Ervin Santana’s success last year and I think it is helping Vargas here as well. 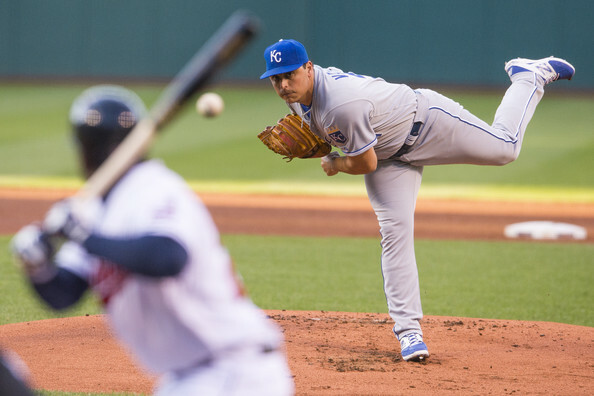 Vargas operates with a simple stockpile of pitches. He throws an 87-mph fastball, a change-up and a curveball. Last year he ditched a cutter he had utilized in years past. He relies on guile, location and adjustments. Vargas ditched his cutter. That speaks volumes, as a number of pitchers over the years have tried incorporating a cutter into their repertoire with very small success. The problem is if you can’t get the cutter to gain movement it will just appear to the batter as a regular fastball, just 2-5 MPH slower. In other words, if you can’t get proper movement the hitter is going to probably hit the ball hard. If Vargas wasn’t getting good movement on the cutter, that would explain why he would have incurred trouble in the past. A few years ago former Royals closer Joakim Soria started to use a cutter…and went through a spell where he was shelled quite frequently. Most pitchers aren’t able to get the movement on it that Mariano Rivera perfected, but it’s so easy to throw that they try. Vargas dropping the cutter might explain a big chunk of his success this year and could be the smartest thing he has done for his career. So after looking at all the numbers and looking into any changes Vargas did in the spring, it looks like we have a better idea of how he has turned into an above average starter. Between staying ahead of the count and keeping his walks down he is able to be a more proficient pitcher. 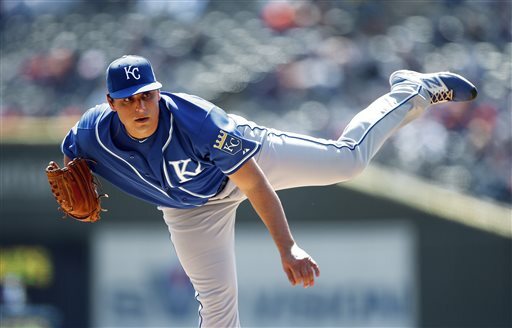 Add in the Royals defense and ditching the cutter out of his arsenal of pitches and it has made the Vargas signing much better than initially thought. If he continues to pitch like this over the next few years, I can easily sit here and tell you that any concerns I had about this signing will be long gone. Jason Vargas is just fine where he is at. Let’s hope this is just the first act. 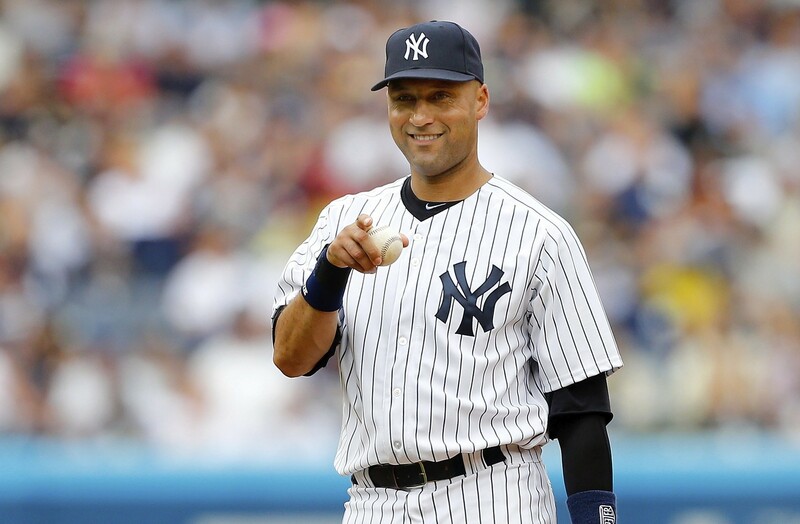 Last week, longtime New York Yankees shortstop and future Hall of Famer Derek Jeter announced that the 2014 season will be his last. Not a shock if you have paid any attention to the Bronx Bombers, as Jeter struggled to stay healthy last year and his defense(which was never as top shelf as many thought)has gotten to a point to where he might be better suited to be the team’s DH. But this isn’t about Jeter’s poor defense or his body falling apart. Nope, this is about how much respect I have for Derek Jeter despite my hatred of the New York Yankees. As a very young man, I understood why I needed to hate the Yankees. Growing up a Royals fan, there was no greater nemesis for Kansas City than the Yankees. Kids today might not believe us, but back in the late 70’s/early 80’s the Yankees and Royals were about as heated a rivalry as you can get. Knowing this, I hated the Bronx Bombers. I’ve held onto that hatred all these years later and for the most part the Yankees make sure I should hate them. But like anything in life, they are exceptions to the rule. Derek Jeter is one of those exceptions. I specifically remember the Yankee teams of the late 90’s. These weren’t your normal Yankees. They consisted of homegrown talent(Rivera, Jeter, Williams, Posada) and veterans that weren’t star players but were fantastic role players(Brosius, O’Neill, Martinez). They weren’t a team consisting of the biggest contracts or the biggest stars. They weren’t a team built by outbidding all the other teams. They were a team made of savvy veterans and top prospects. As much as I hated the Yankees, I had to show these Joe Torre led teams respect. They did it the right way and were fun to watch. Sure, I still wanted the other team to win but I wasn’t upset the Yankees won during this period. In my eyes, they had earned it and Jeter was a big part of it. 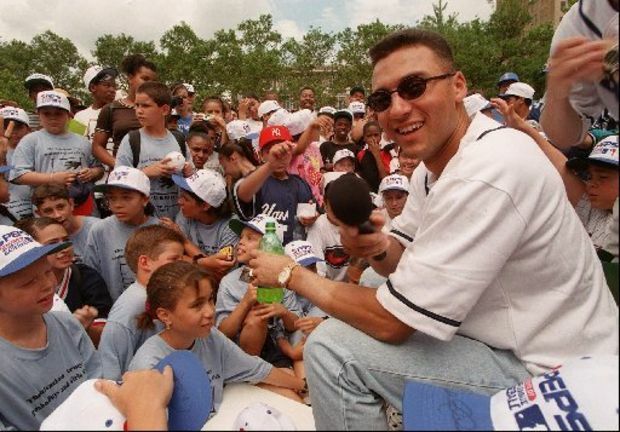 Over the years, the legend of Derek Jeter grew. Whether it was rallying his team to victory or running into the stands to make a catch, Jeter did what needed to be done. Derek Jeter might have very well been the face of Major League Baseball during a period of giant behemoths, clobbering their way to baseball immortality(even if it wasn’t the way they wanted to be remembered). If you were to explain to someone foreign to the game why we love baseball, we would show them clips of Derek Jeter. Jeter has been what is best about the game for years now and I say that with full confidence. Derek wasn’t the best hitter, or hit the most home runs or stole the most bases. But what he did do was play the game like you should and performed at a top level for two decades. When the only thing you can really knock him for is his defense being about average for many years than you have a great example of a great ballplayer. I plan to root against the Yankees this year like I do most years. 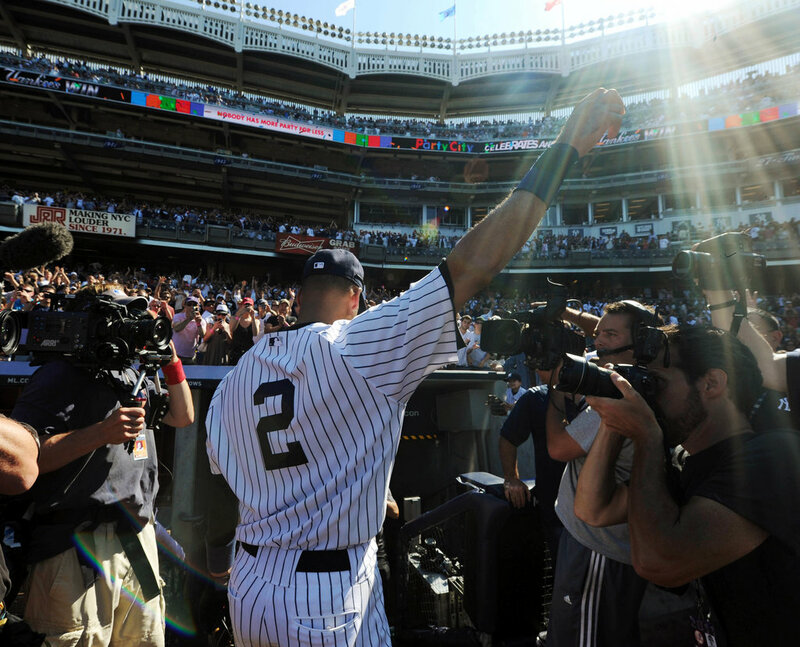 But deep down, I will probably be rooting for ‘Number 2’ to be able to go out on a pedestal the way Mariano Rivera was able to this past season. I hope that even the people who jeer for Jeter realize we probably won’t see one of his caliber for years to come. 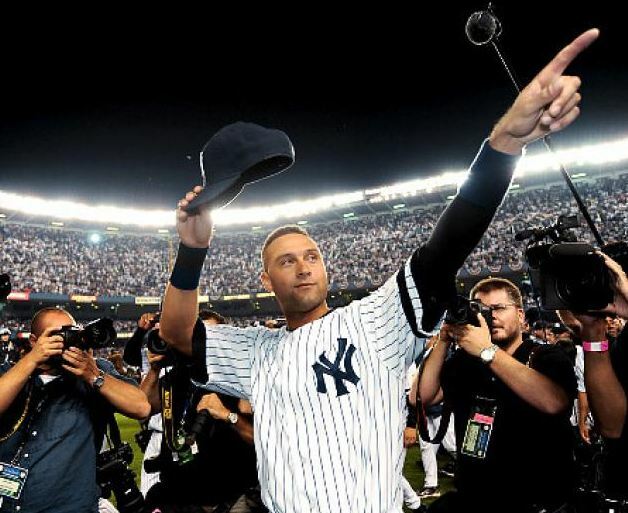 Derek Jeter was great for baseball and everything he stood for. I can try to guess what his greatest achievement was all these years later(and being single most of this time while staying out of the tabloids might rank up there with his achievements on the diamond) but it’s hard to pick just one. I think if forced to, I would say his biggest accomplishment was elevating his teammates up to his level. Being the captain of the Yankees all these years means greater responsibility but it also means being able to pull greatness out of players who might not be great. Jeter was a great motivator and made his teams better just by being around them. That should be his lasting legacy. He was what most baseball players should strive to be. For that I respect the hell out of Derek Jeter. Even if he was a Yankee.